Pictures from the German (Nazi) U-boat base in Lorient - France. 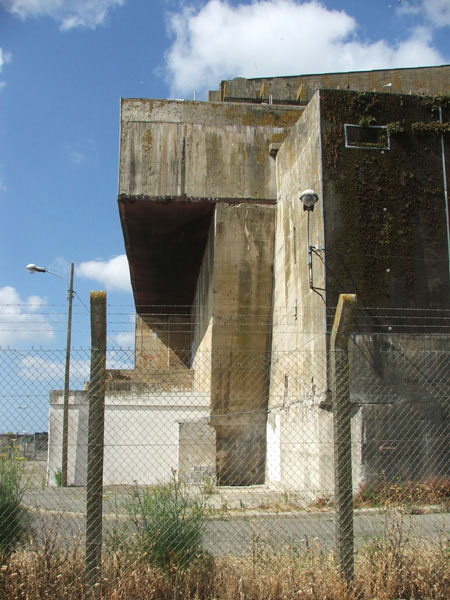 The base was build during World War II and was used to reload and repair the German U-boats after their fights in the "Battle of the Atlantic". The main part of the U-boat base. 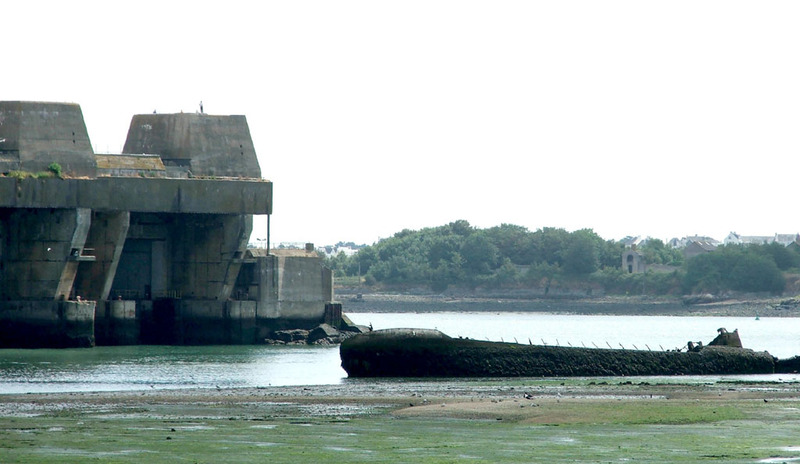 The wreck of a U-boat outside the base. a part of the base with two wrecks in front of it. The other part of the base. Today it is used for modern industry. A sign showing a part of the history of the base. 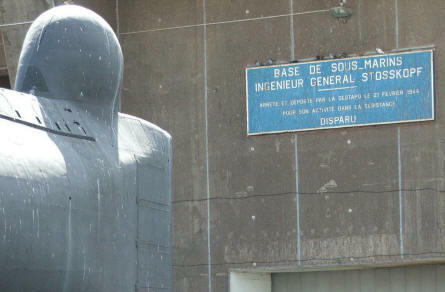 A "newer" French submarine in front of the base (2006). An image showing how thick the walls and roof is.